As you can see, this clarinet is in excellent condition. It has recently been overhauled by Rick Sayre. There are some areas where the plating is not perfect. Otherwise it is in excellent shape and ready to perform. Case is in average condition for a clarinet of this age. Price.................................................................$1800 plus shipping and tax if applicable. 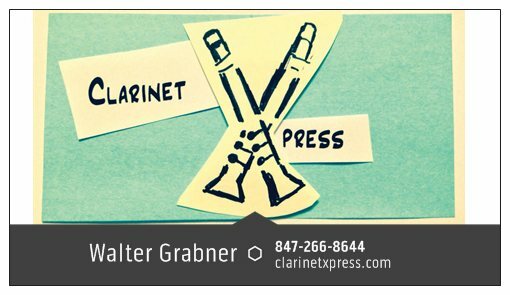 If you are interested in having your clarinet restored and sold on consignment, please contact me at grabnerwg@gmail.com with a description of the instrument you wish to sell. My commission is 23% of the net sales amount. The net sales amount is the actual sales amount, less any selling expenses, including repair costs, which we would agree on in advance, and other possible also selling costs. When I receive your instrument, I will give you a receipt giving the approximate value of the instrument. However, I must have some leeway on price in order to negotiate with the buyer.